Equally highly regarded for its central location and impressive list of architectural landmarks, Toronto’s St. Lawrence neighbourhood is without a doubt one of the city’s most sought-after destinations for real estate. It is also one of Toronto’s most historic areas, with origins that date all the way back to 1799 – when Upper Canada’s first Parliament Buildings were erected near the intersection of Front and Parliament Streets. The iconic Gooderham “Flat Iron” building, located at 49 Wellington Street East. Originally erected in 1892. The building’s iconic wedge-shaped design has made it one of the city’s most popular sights. The Toronto Street Railway Co. stables at 165 Front Street East. Although the stables was originally a large complex, today only one building – better known as the Young People’s Theatre – remains. Ask almost any Torontonian about the neighbourhood, however, and they’ll most likely mention the St. Lawrence Market – a heritage building that, during the 1840s, was home to not only a farmer’s market, but Toronto’s City Council as well. After the great fire of 1849, the building was reconstructed and still stands at the corner of Front and Jarvis Streets, where each weekend it accommodates hundreds of GTA residents seeking out fresh produce and tasty local eats. The St. Lawrence area’s popularity among condo shoppers can be traced back to the 1970s, when an ambitious housing development brought 3,500 residential units to a large portion of the neighbourhood that had previously held industrial lands. After a five-year-long design and construction process, spearheaded by a large team of planners that included Jane Jacobs and Alan Littlewood, the homes of St. Lawrence’s master-planned community welcomed its first residents in 1979. Today, many of the homes are still sold at market rate, and present an excellent investment option for young professionals or families seeking a downtown lifestyle. More recent additions to the community include the architecturally ambitious L Tower – one of the most distinct features of Toronto’s urban skyline – and the recently-completed The Berczy condo just steps southwest of the Flat Iron building. Front St. E. & Sherbourne St. Planned by two of the city’s most reputable developers, Fernbrook and Cityzen, and marketed by International Home Marketing Group, The St. Lawrence will bring two towers of suites to an exceptional location at 158 Front Street, near St. Lawrence Hall. Affordably-priced suites, starting in just the $200,000s, are complemented by a selection of ultra-modern amenities that includes a Movement Haus fitness centre, rooftop terrace with pool, and spacious movie theatre. Those interested in registering can do so – and take advantage of limited-time incentives – by clicking here. Scott Street & Wellington St. E.
Located immediately northwest of the popular (and currently mid-renovation) Berczy Park, 88 Scott – a Concert project – promises stylish, sophisticated interiors in a striking 58-storey tower. The community’s amenities are geared towards young professionals, and include a coffee bar, multimedia news lounge, and juice-bar-equipped fitness centre. While construction on 88 Scott is already well underway, the developer is planning a final release of suites in November 2016 – in order to avoid missing out, we recommend contacting a Living Realty agent A.S.A.P. Colborne Street & King St. E.
With construction already underway on its striking podium (designed by renowned local architect Peter Clewes), Sixty Colborne presents an excellent option for those seeking a condo that is a bit closer to completion. Located in the northern end of the neighbourhood, near the heart of the Financial District, the plan for the community includes a 24-hour concierge, terrace-level outdoor pool, and LEED certification for greener living. Even though construction has already begun, Sixty Colborne is still in the sales phase – contact a Living agent today for access to floorplans and details. Any afternoon or evening out in St. Lawrence will likely start at its eponymous market – a culinary destination so dynamic that it topped National Geographic’s 2011 list of the 10 best food markets – worldwide! Since earning that distinction, it has only grown in size and popularity. In one visit, you can grab a quick meal at Buster’s Sea Cove or the Crepe it Up Café, browse the fresh offerings at Carnicero’s Prime Meats, or stock up on accessories at Bright Sky Jewelry – just to name a few. Art lovers may want to follow that up with a trip to the Market Gallery – a frequent home for Toronto-centric exhibits that has been in business since 1979. When it’s time for dinner, those who venture beyond the market itself are just steps from some of the city’s coziest dining hotspots such as Le Papillon on Front, a beloved Toronto destination for casual French cuisine, or the trendy C’est What, known for its rotating selection of craft beers. For theatre and music lovers, the St. Lawrence Centre for the Arts – and its famed next-door neighbor, the Sony Centre for the Performing Arts – are both just a short walk away via charming Front Street. 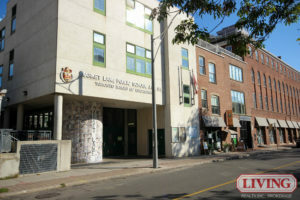 Market Lane Junior and Senior Public School, located at 246 The Esplanade, is run by the Toronto District School Board and offers classes from Junior Kindergarten to Grade 8. Those looking to make an investment, however, will appreciate the proximity of George Brown College’s St. James Campus. Clustered around the busy intersection of King and Sherbourne, the campus’s eight buildings host the college’s faculties of business, hospitality, tourism, design, gaming, and more – providing a convenient pool of tenants for those looking to earn rental income. 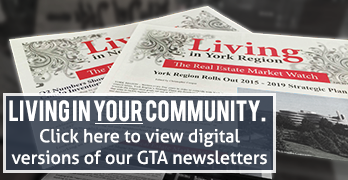 As of October 2016, Living Realty is proud to provide specialized downtown service from its brand-new Yonge & Bloor branch, located at 7 Hayden Street – just a few subway stations north of the St. Lawrence neighbourhood’s western edge. To get in touch with the team, just call (416) 975-9889 or use our quick and easy online contact form.